It is that time of year. 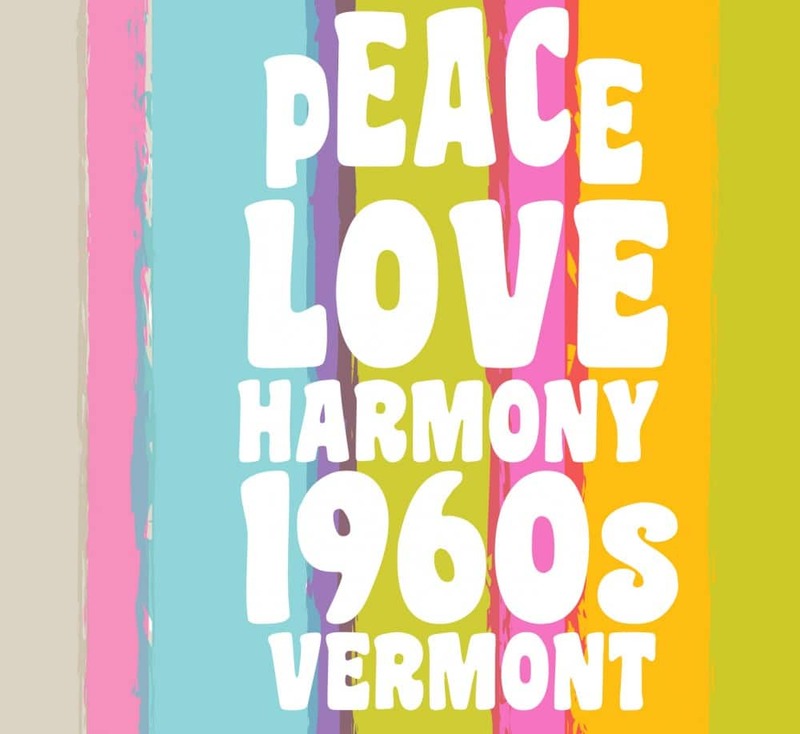 Bennington Museum’s Festival is soon here and this year it celebrates the creativity of a wide range of work created by thirty-eight regional artists responding to the theme, Peace, Love, Harmony: 1960s Vermont. In 2019, the Museum will be looking back 50 years to the end of the 1960s with a cluster of exhibitions, celebrations, and events. This year’s Festival gets it started by looking at the lasting impact of the art and spirit of the 60s on today’s artists, and serves as a prelude to next summer’s major exhibition Fields of Change: 1960s Vermont. This lends itself to wonderful interpretations such as collage art, paintings, woodwork, textiles, sculpture, and more. Surprises will delight visitors in the galleries, as well as those who join us at the Gala on December 7 and on Family Day on December 1. The exhibition is open November 23 through December 28. The original artwork created by the regional artists is available to own through a closed-bid auction taking place November 23 through December 28, 4 pm. Stop in early and often at no charge to bid on that special gift while supporting the museum’s largest annual fundraiser. Participating Artists: Willard Boepple, Bill Botzow, Paedra (Peter) Bramhall, Jonathan Brand, Kevin Bubriski, Bruce Campbell, Misa Chapell, Katie Cleaver, Susan Crile, T.W. Collins, Vanessa Compton, Jim Dodds, Patrick Dunfrey, Alisa Dworsky, Tom Fels, Ruth Ann Fredenthal, David Holzapfel, Laurence Hyman, Jon Isherwood, Jeanne Joudry, Hugh Joudry, Constance Kheel, Lodiza LePore, Mary Muncil, Sara Farrell Okamura, Lauren Olitski, Leslie Parke, Aysha Peltz, Matthew Perry, Rhonda Ratray, Danny Sagan, MaryJane Sarvis, Peter Schumann, Teru Simon, Barbara Takenaga, G. Winterhalter, Donna Wynbrandt, and Jules Zanes. Celebrate the season with $3 admission to the museum for everyone! Any child that brings new school supplies or a personal care item for Sunrise Family Resource Center is admitted free. 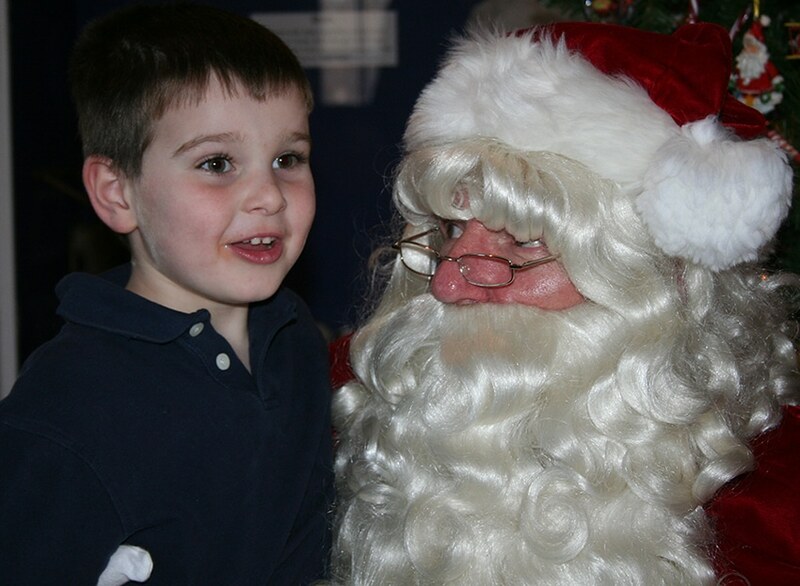 Due to the generous support of local businesses and friends of the Museum, all crafts and visits with Santa are FREE! Every child can create a wonderful craft and get to tell Santa and Mrs. Claus what is on their list. Craft activities are available all day while visits with Santa are from 1:00 pm to 3:00 pm. The Children’s Shopping Boutique from 10:30 am to 3:30 pm, offers a wide range of gifts priced from $1 to $10. Shoppers’ Helpers are on hand to help children ages 5 – 12 select presents for their friends and family members. Free gift-wrapping and gift tags are included. Visit with Will Moses for a book signing in the Museum Shop from noon to 3:00 pm. Also on view are Classroom Creations! Students from the region have worked hard to create an object inspired by the 1960s in Vermont. For $1, you can purchase a chance to win one of the Classroom Creations! Visit their display and enjoy their contribution. Adults Can Go Shopping Too! The Museum Store is offering an expanded selection of artisan products just in time for the holidays. On November 23, 24 and 25 and again on December 1, the Museum Store is offering museum members a 25% discount while not-yet-members receive 15% off their entire purchase. Bennington Museum hosts the premiere event of the season and the Museum’s biggest annual fundraiser, the Gala. Celebrating the 60s in Vermont has never been more fun. Where are those bell bottoms? That tie-dyed shirt? Dig out your best attire from the 1960s and join the fun. Enjoy delicious holiday offerings of the 60s with a modern twist, cash bar with themed cocktails, brews and more. DJ Jim Woodward will blow your mind with the greatest sounds of the 60s and 70s mixed with seasonal favorites. And of course, there will be spirited bidding on unique and diverse items in the silent auction. Check out the awesome exhibition of original artwork by thirty-eight regional artists and place your best bid in the closed-bid auction. Tickets for the Gala $100 per person. This year the Museum is offering Millennial and Gen Z pricing – $1 per year of age, 10 through 35. Or, gather your friends and family and purchase the “Plus One Package.” Buy five and get six. Reservations may be made by calling the museum at 802-447-1571 ext. 200 or through the Museum’s online store at benningtonmuseum.org. Join in the fun while supporting the region’s foremost museum of art, history and innovation. It is going to be a blast!